Breakfast will be served at the hotel restaurant. After breakfast, you will be taken on a full day North Island sightseeing tour of Mauritius. On the sightseeing tour you will explore places like Port Louis which is the largest city of the country and is the main port; here explore numerous sightseeing attractions such as Port Louis Bazaar, Mauritian Chinatown and more. Also explore Pamplemoussis Botanical Garden and Grand Bay, a shopping and leisure paradise. Dinner and overnight stay will be in the hotel. Post breakfast, you will be taken on a full day South Island sightseeing tour. Start with a visit to Curepipe known for its tea estates and model-ship building industries to see the surrounding countryside and other attractions. The village of Chamarel is abode of two natural wonders, the magnificent Chamarel Falls and the colored earths of the region. Explore the beautiful patterns of color in the verdant hillsides and the beauty of the Chamarel Falls and then proceed towards the panoramic view of a fabulous volcano, Trou aux Cerfs. Visit to a holy lake according to Hindu faith, Grand Bassin will end today's tour. Return to the hotel for dinner and overnight stay. Post breakfast you will be proceeding for a full day Ile aux Cerf tour. 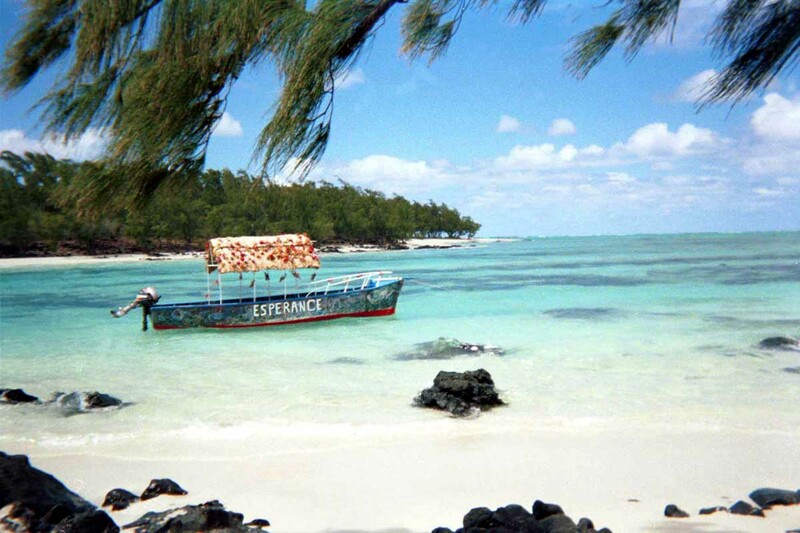 A beautiful Coral Island in East of Mauritius, Ile aux Cerfs Beach is where one can explore angelic beauty of sandy beaches merging with azure waters of the sea. Gorge upon local cuisine or take part in leisurely walks around the region for a laid-back experience. The rest of the day will be free for independent activities. Dinner and overnight will be in the hotel. The tour itinerary will provide you ample opportunity to relax and rejuvenate on the angelic and almost therapeutic beauty of Mauritius beaches. The day begins with an appetizing breakfast and will be followed by a day free for independent; guests can choose to relax on the beach or indulge in some recreational amenities in the hotel itself. Dinner will be served in the hotel followed by overnight stay. The day begins with an appetizing breakfast and will be followed by a day free for independent; guests can choose to relax on the beach or indulge in some recreational amenities in the hotel itself. Dinner will be served in the hotel followed by overnight stay. Post breakfast you will be escorted to the airport by our representative. At the airport all the arrangements will be provided beforehand for your comfortable flight back home. Please visit our website : www.explore2odisha.com for more details.